"Creating a memory and experience that only farms can"
Nezinscot Farm Cafe is a friendly and casual farm to table cafe and coffee shop with a warm and welcoming vibe. Easter Weekend Brunch: We will be open and featuring a special brunch menu on Easter 9 a.m – 3 p.m.
Nezinscot Farm began as the first Organic Dairy in the state of Maine. Through the desire to diversify and the passion for good food, Nezinscot’s owners, Gregg & Gloria Varney expanded Nezinscot Farm to encompass a Gourmet Food Shop, a Cafe and Coffee Shop, a Bakery, a Fromagerie, a Charcuterie, and a Yarn & Fiber Studio. 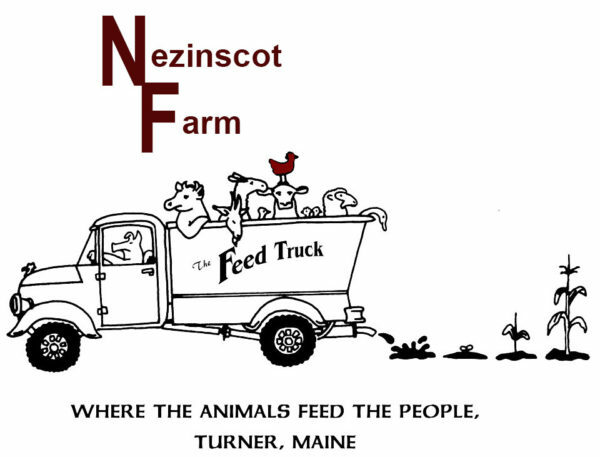 Nezinscot Farm is located in the picturesque town of Turner, Maine surrounded by 250 acres of Organic Farmland. On the grounds, you can find acres of veggie gardens, rolling fields, farm animals, and the Nezinscot River. Nezinscot Farm is a unique must-see Maine destination. We have something for everyone, so make us your weekend retreat and enjoy a weekend to remember. Hear from our staff and owner of Nezinscot Farm Store, Gloria Varney, in our weekly blog! Smudging is a form of cleaning and a practice that incorporate daily while also setting intentions with the guidance of what are called angel cards each morning before the start of the day. I was recently asked to speak in an upcoming event this spring to a group of investors, entrepreneurs and local businesses about a topic of interest that could potentially get them to invest in an idea, product or project that the farm has and or needs financial assistance with. Get the latest updates from Nezinscot Farm Store & Cafe directly to your inbox!